A Short Dictionary of 18th-Century Russian is one of several useful philological tools Slavica has published in its fifty years. 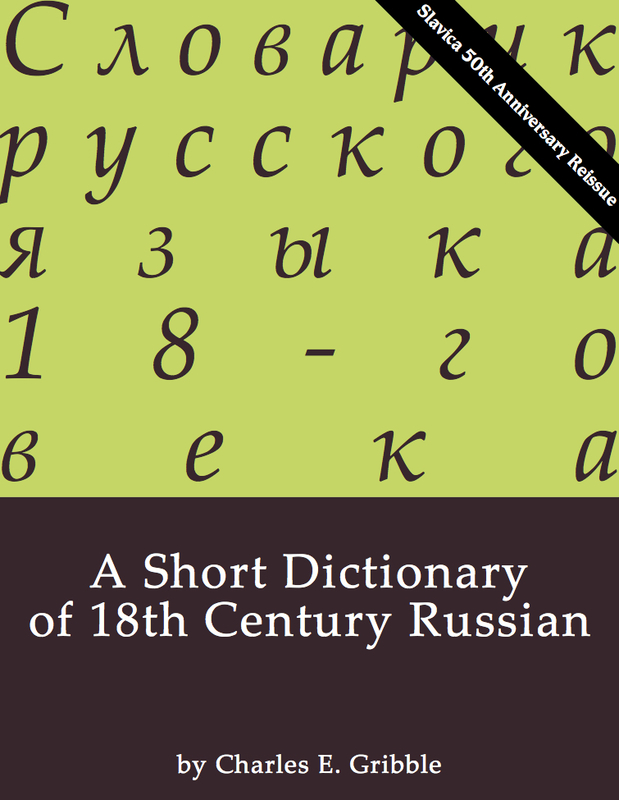 A similar tool we reprinted in hard copy form is the 2012 corrected reprint of Horace Lunt’s A Concise Dictionary of Old Russian: 11th–17th Centuries, edited by and with additional material developed by Oscar Swan; information at https://slavica.indiana.edu/bookListings/linguistics/Concise_ Dictionary_of_Old_Russian. Both books are intended to supplement an excellent vocabulary in modern Russian, and merely cover gaps or additions which apply to old and medieval Russian. Slavica would like to express its sincere thanks to the late Charles E. Gribble for graciously granting permission for this reprint. (Professor Gribble passed away on June 3, 2016; for details see https://cmrs.osu.edu/ news/memoriam-dr.-charles-chuck-gribble.) We welcome comments on this and other forthcoming titles to be released in this series.